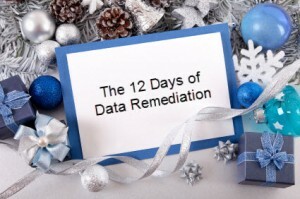 Listen as Karl Schieneman, Founder and Owner of Review Less, discusses with Gary Rylander, President of Strategic Governance, “The 12 Days of Remediation.” These 12 key components deal with the fundamental structure of any data remediation project. This podcast will address items ranging from data maps to retention schedules; effective and realistic legal hold strategies; effective policies regarding social media; personal and mobile devices and much more. This is a great show as it provides a road map for a corporate New Year’s resolution. And you never know, there may be room for a new holiday song at the end of the show.